A California man says he's been fired from his job because he complained to Comcast about his cable service and bill. 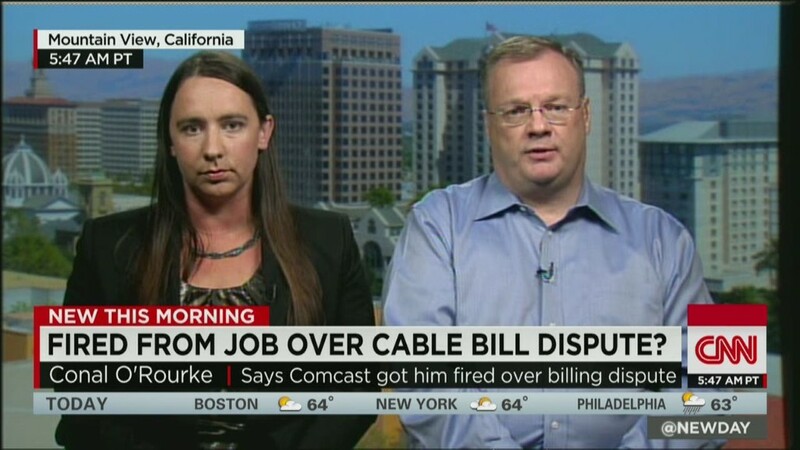 O'Rourke told CNET and the Consumerist, which first reported the story, that problems with his Comcast service and bill go back to at least February 2013. Charges totaling $1,820 appeared for equipment he never received and didn't need. While those charges were removed after his complaint, his account still ended up with a collections agency last February. O'Rourke told the CNN that he contacted Comcast's corporate office. "I had a pleasant initial conversation," he said. "From there it went bad. It was aggressive." 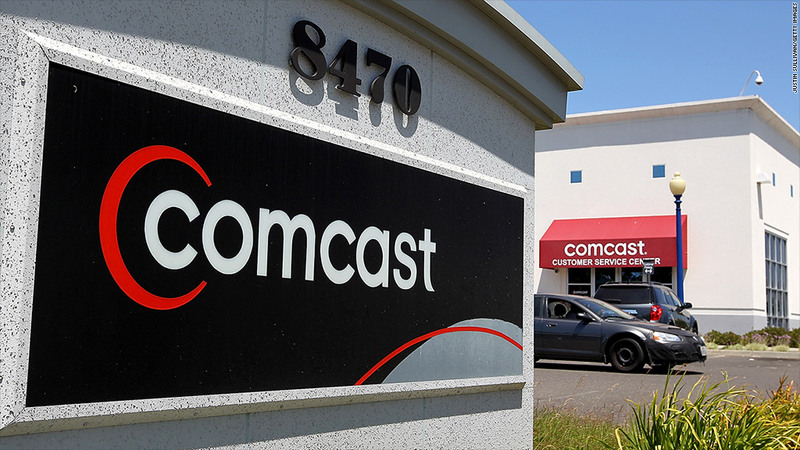 He said he suggested Comcast's billing practices should be investigated, and questioned whether the revenue the company is reporting to investors is accurate "with everybody having billing problems." Comcast notified PricewaterhouseCoopers that a person claiming to be a PwC employee called its chief accounting executive's office with complaints about his cable service and bills, and yelled at its employees who tried to assist him, according to a letter one of its attorneys sent to Maureen Ryan, O'Rourke's attorney. Ryan said Comcast told PwC that O'Rourke had tried to use his employment there as leverage in making his complaints. "They went to his employer and said he had violated accounting ethics," she said. "That's not a minor charge to make." Both Ryan and O'Rourke deny he committed any ethics violation or even let Comcast know he worked for PwC. O'Rourke had a non-accounting staff position at PricewaterhouseCoopers. The firm said he was fired after an investigation determined that he violated its standards and practices. Comcast's new vice president of customer experience, Charlie Herrin, has issued a public apology to O'Rourke, admitting that his service problems with the company were completely unacceptable. But he denied that the company sought to have him fired. "What happened with Mr. O'Rourke's service is completely unacceptable," said Herrin's. "Despite our attempts to address Mr. O'Rourke's issues, we simply dropped the ball and did not make things right. Mr. O'Rourke deserves another apology from us and we're making this one publicly." O'Rourke said Comcast did not contact him directly with its apology. In fact, that he didn't find out about it when he was contacted by the press. He and his attorney say the apology and fixing the billing problems doesn't go nearly far enough. They are seeking financial damages as well as reinstatement to his job. O'Rourke said he doesn't have any regrets about what he told Comcast that led to his firing. "I don't know how I could have handled it any differently," he told CNN. "I tried for months and months and months to just have somebody look at my bill." 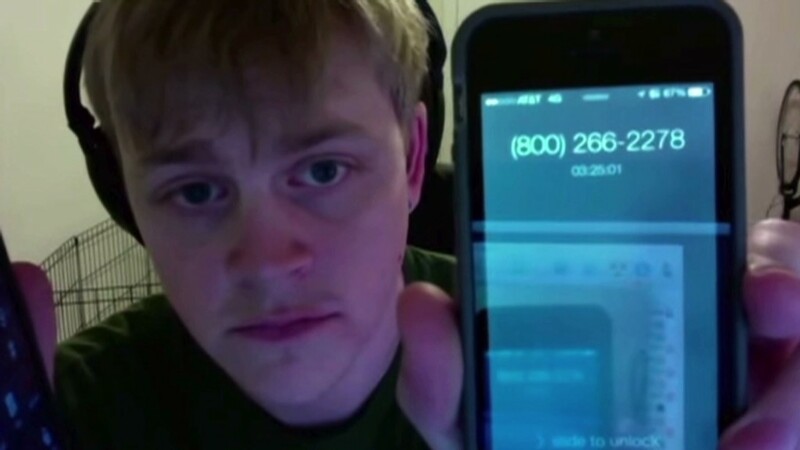 Comcast has one of the worst customer service reputations of any U.S. company. It named Herrin as its new customer service chief last month with a promise of improving its service, though it admitted that would take time. -- An earlier version of this story described O'Rourke's position erroneously. He held an non-accounting position at the firm.